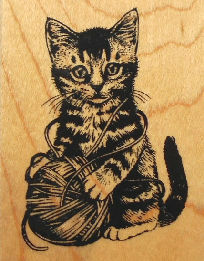 This cute kitten appears to be getting tangled up in a ball of yarn. The rubber stamp is 2 1/2" high x 1 7/8" wide. Previously owned but in good condition.